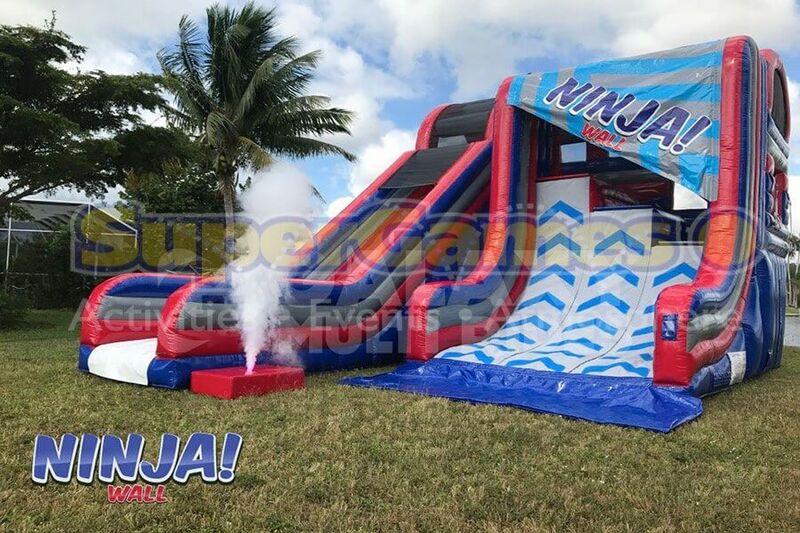 This inflatable (but very sturdy) warped wall is perfect for those ninjas in training. With three different height options (6, 8 and 10ft), challengers must run up the wall and pull themselves up onto the platform. The non-slip vinyl ensures you have enough grip to make it to the top! Once at the top, the participant will turn left and slide down back to the finisher’s podium with the victory smoke blast! This activity can be packaged with Ninja Extreme or Ninja 2!